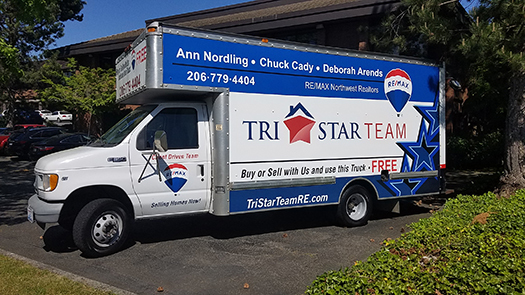 After over a decade of use by both our clients and community organizations/non profits alike, our moving truck finally got a new look! Our team is committed to making your property buying and/or selling experience as enjoyable as possible. That is why we offer our moving truck to use FREE of charge when you buy or sell a home through us! It is a full size, fully equipped moving truck available on a first come first serve basis. *This truck is FREE to use for local Non-Profits and our Clients.